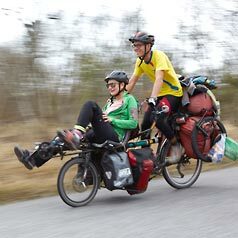 PINO TOUR: The recumbent tandem for once around the world. Or twice? The PINO TOUR is our travel tandem for globetrotters - so that you can always reach your destination together. A journey on the PINO TOUR is probably one of the most intense experiences two people can share. 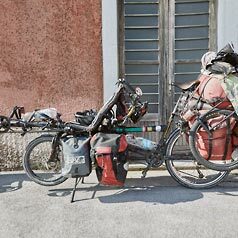 As a semi-recumbent tandem, it's the perfect touring bike: both riders enjoy an unrestricted, panoramic view and can philosophize about everything under the sun without raising their voices. Unless they disagree... but that wouldn't be the PINO's fault. Speaking of philosophy: if the journey is the destination, can you every really arrive at the same time? When you park your PINO in the square, the village dog is usually the first to come investigate. Not far behind him are the giggling children and head-shaking elders with thousands of questions. 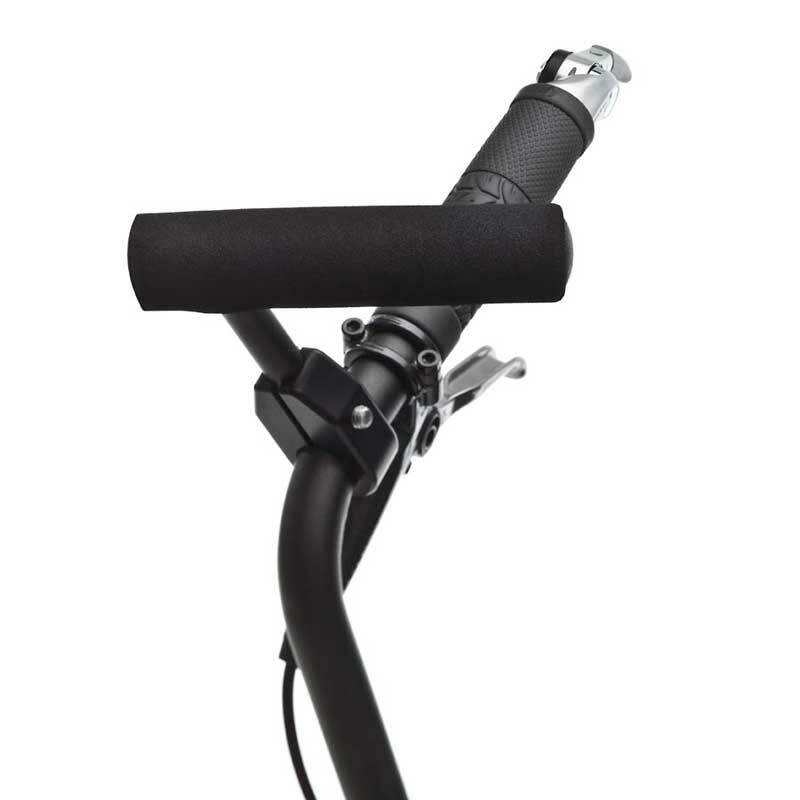 Good thing the PINO has no problem standing for long periods on its robust double kickstand. 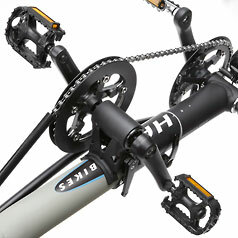 This clever feature can balance a whopping 220 lb. (100 kg.). Meaning it's no problem at all to let one of the village youngsters pose in the recumbent seat for a souvenir photo! 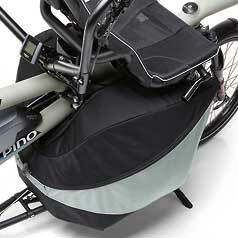 The PINO is a lot like a pack mule, in that it can carry large loads for long distances without losing its "footing." 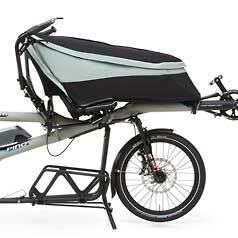 The PINO TOUR comes with an extra-long lowrider in addition to its rear luggage rack. 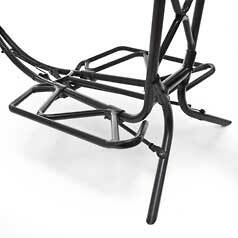 The lowrider is more than just a cool name. 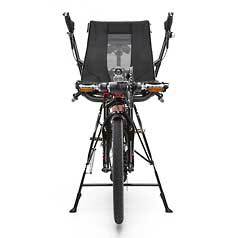 It has an important function: one large and one small pannier can be securely attached to each side of the rack under the recumbent seat, where they won't disturb the riders. And the low center of gravity is great for handling. 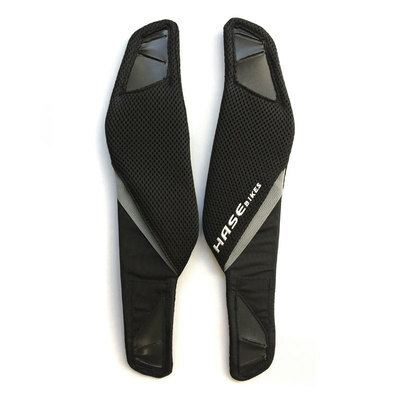 Good thing the PINO can also go solo! That means that one of you can make a quick run to the store to pick up some red wine while the other starts the pasta. By the time you make it back, the picnic blanket is already set! 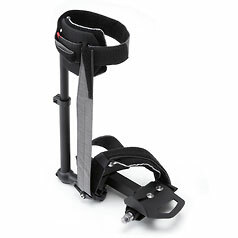 And for those un-bikeable routes on your journey, the PINO's two-part frame can be taken apart for easy transport. By car. Or by bus. Or even in a frighteningly small airplane. 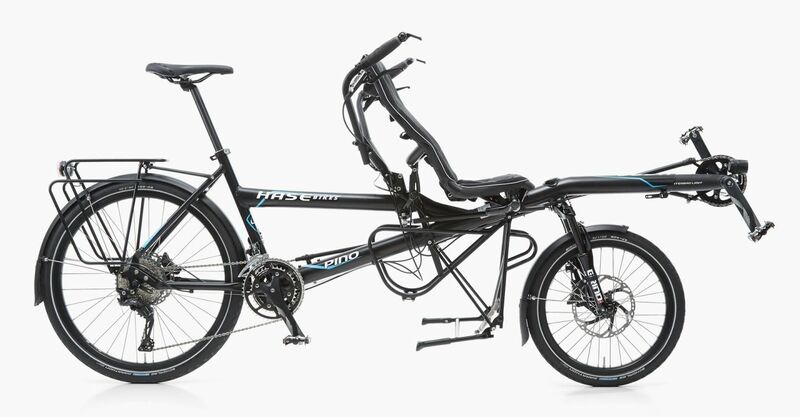 Once you reach your next destination, you can reassemble the tandem in a flash, pack it up - and hit the road. 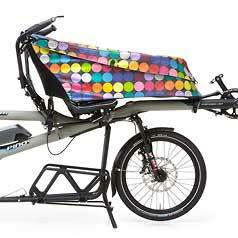 Rear: 26" DT Swiss 340, Front: 20"
HASE BIKES PINO Lowrider 12 mm aluminum, max. 25 kg. 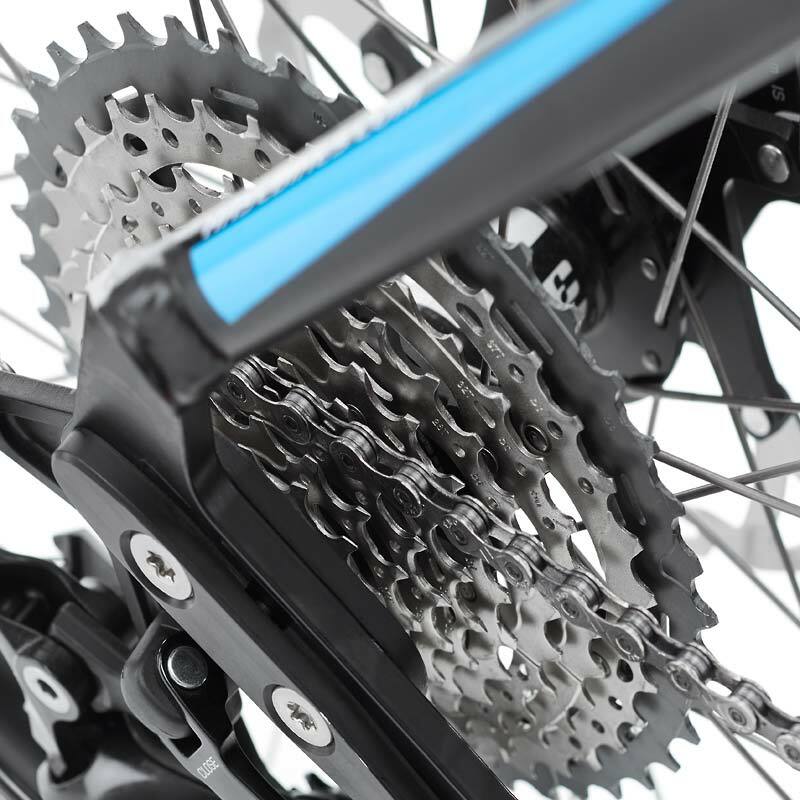 PINO Drivetrain: Starting in 2018, the PINO can be equipped with an optional 22-speed drivetrain and the PINO STEPS with an 11-speed drivetrain. 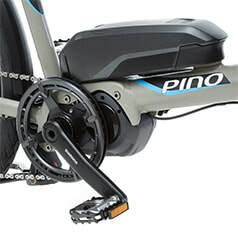 PINO Plus Shimano’s Next Generation: When ordering a customized PINO, it is now possible to add the new Shimano Steps E6100 motor. The motor mount, which is integrated into the frame, has an impressive new design, just like on our trikes. 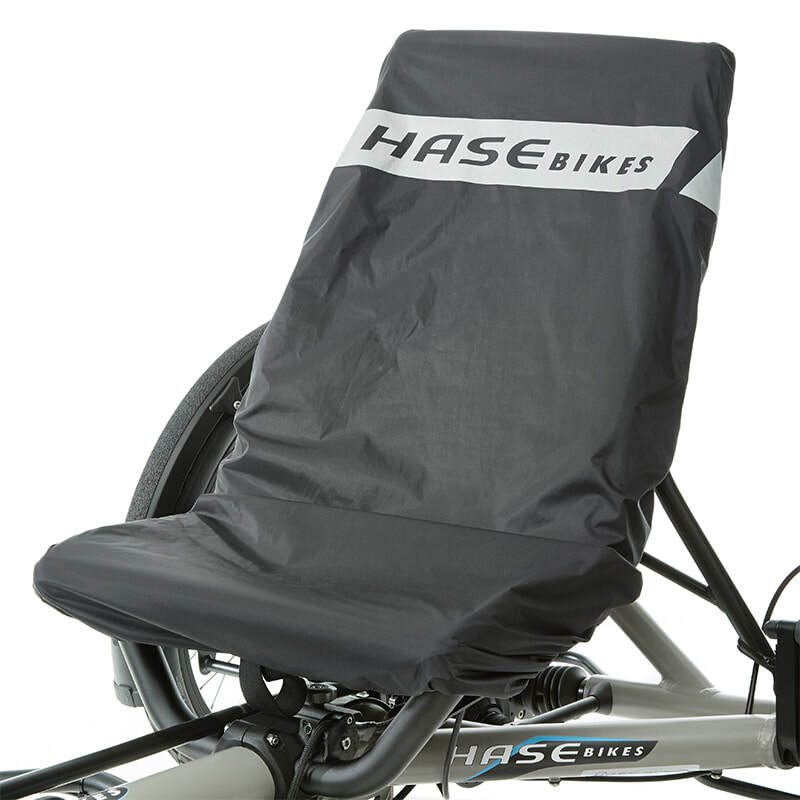 Rain Cover with New Design: Looks great and keeps everything dry – now even compatible with the XXL and TRIGO seats: the redesigned Rain Cover for our recumbent seats. 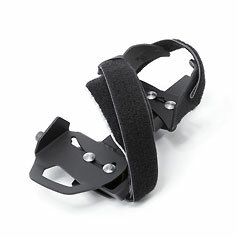 Instead of a storage bag, there’s now a little strap. On the PINO at the Ironman South Africa: Nikki is a finisher. 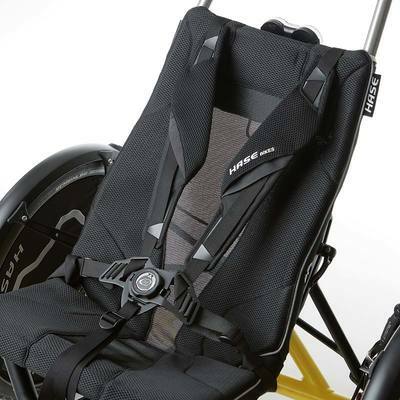 Taking part in the Ironman with cerebral palsy? The story of Nicholas Garood and his Dad is one of courage and love.